In the past, a law firm could rely on television advertising, billboards, and word-of-mouth referrals to generate business. And while these options are all still viable in today’s law firm market, the real issue that your firm should be concerned with is the Internet. At this point in time, over 83 percent of all new clients are generated through web searches. More people turn to the Internet to find information about businesses and services than to any other form of advertising. In fact, Internet information is seen as “more credible” than most other forms of advertising because people feel that they can connect with the business, product or service on a more personal level on the Internet. 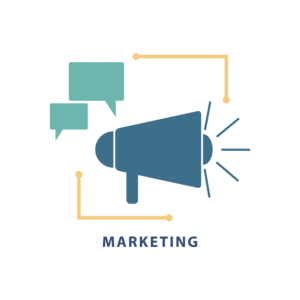 Therefore, Attorney Marketing over the Internet is essential for you to broadcast your services to a wide range of people. Law firms that are interested in generating more business need to take this information to heart and set up an Internet Attorney marketing plan for their firm. Creating a Web marketing plan can be divided into four major areas: Website Design, Website Content, Website Local Marketing and Online Reputation. The first thing that you must check is the speed at which your site loads both on a computer and a mobile device. Studies have shown that if a page takes more than three seconds to load, a person will hit the back button and look for another site. New technology and computer codes enable sites to move this quickly and if your site moves slow, it will fall behind. You must also make sure that your site is completely mobile device friendly. Over 80 percent of people who visit your site will visit through a mobile device. Your site must be designed to be compatible with mobile devices to work accurately on them. A site only designed to work on a computer will not work accurately on a mobile device and you will lose the potential customer. Time is always of the essence. People will only use a site that is easy to navigate and find the information that they want quickly. 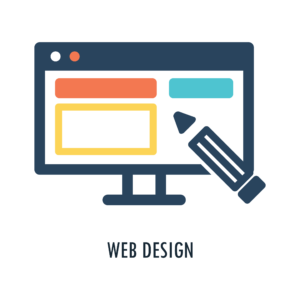 If your site is too difficult to navigate, or information is just too hard to find, they will move on to a more user-friendly site. You also need to have your site continually checked to make sure that all pages work. 404 errors are a large deterrent for consumers who want information. Make sure that each page always works. Your content must always provide value. The one thing that can kill your website is making the visitor have to work too hard to find relevant information. You want the answers to their potential questions to be easy to find and understand. If you give your potential clients the runaround, or continually state that they need to contact your firm for answers, you will lose a majority of the visitors that come to your site. Your site should be appealing visually. Do not over-clutter your pages with text or graphics. You want to create a pleasant experience on each page so that people feel comfortable staying on the page. As a part of Law Firm Web Marketing, Your content must be valuable to your visitors. Answer common questions in your area of expertise. Provide valuable legal related content that would make someone stop and read. Make your content something that will build trust in your service. It is common for people to want to build a knowledge base before seeking legal services, so providing them the opportunity to gain that knowledge builds trust. Your law firm content marketing should also be written in a way that does not intimidate the reader or make them feel ignorant. You don’t want to fill the site with content that requires a legal degree to interpret, but you also do not want to write at such a low level that the reader will feel insulted. Part of your content should include marketing to your local area. Your law firm SEO (search engine optimization) should focus on potential clients that are in your area. As part of your social network posts you should include local events and local issues that would draw attention to your site. Support charity causes or local events and promote them via social media. Interacting with your community is one of the best ways to market towards them without being overly aggressive. It is now an absolute fact that 90 percent of all people read reviews on the Internet before they decide to engage with a company to buy their services or products. A different study regarding Law Firm Web Marketing, shows that 78 percent of all people rank Internet reviews as high as reviews given to them by family and friends. With so much credibility given to online reviews it is essential that you continually manage your online reputation. There are many ways that you can do this. You can use a service that will manage your reputation for you, or you can opt to actively manage it yourself. This would include responding to positive and negative reviews, promoting good things about your firm and knowing how to move bad postings far back in any searches made about your company. Never underestimate the power of a bad review on the Internet. Handling it the right way is very important and should be done quickly. Once you have resolved the problem, even with a simple reply to the post such as “please stop in so we can correct this issue'” can boost the confidence levels of potential customers. Following these four steps will allow you to create a sold Law Firm Web Marketing plan for your law firm. Each of these steps are essential. Several of these steps you may need to address on a daily or weekly basis. The results you receive, however, will make all of these efforts very worthwhile.